1" pipe size Flot for ponic use. 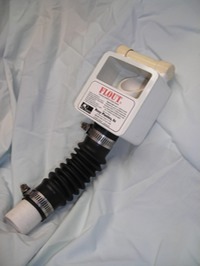 Adjustable from 4" to 12" drawdown. The "FloutHouse™" internal container with screen for ponic growbeds. 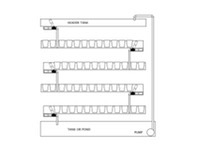 An external model with pipe connections for growbeds, troughs, and pails, as well as header tank control. Sequenced FL-1 Flouts and tank, using Cuebox technology. 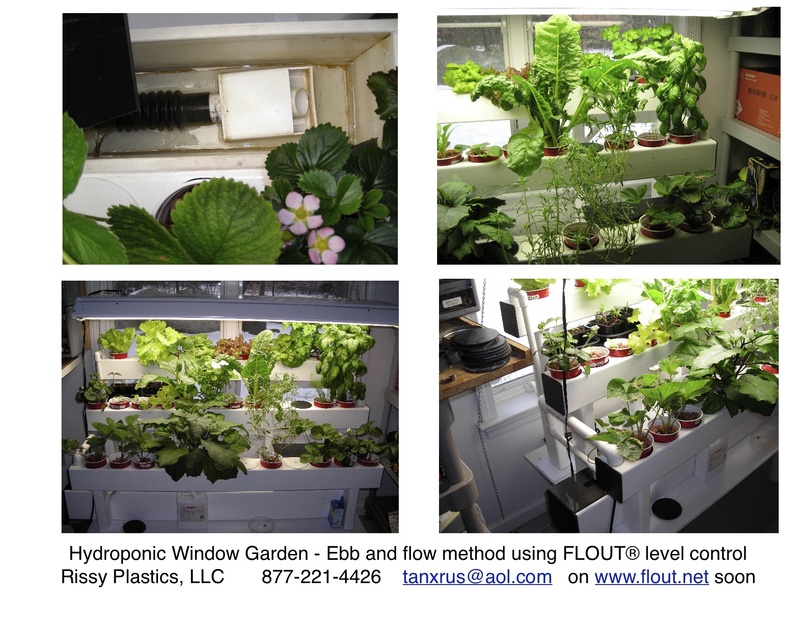 Flouts are finding use in the aquaponic and hydroponic fields. Pea stone or granular clay soil-less grow beds perform the best with the "ebb and flow"method. The Flout is perfect for this task. All of the problems with siphons, drain holes, and backflow pumps are history. Flouts work each and every time, draining rapidly and never overflowing. 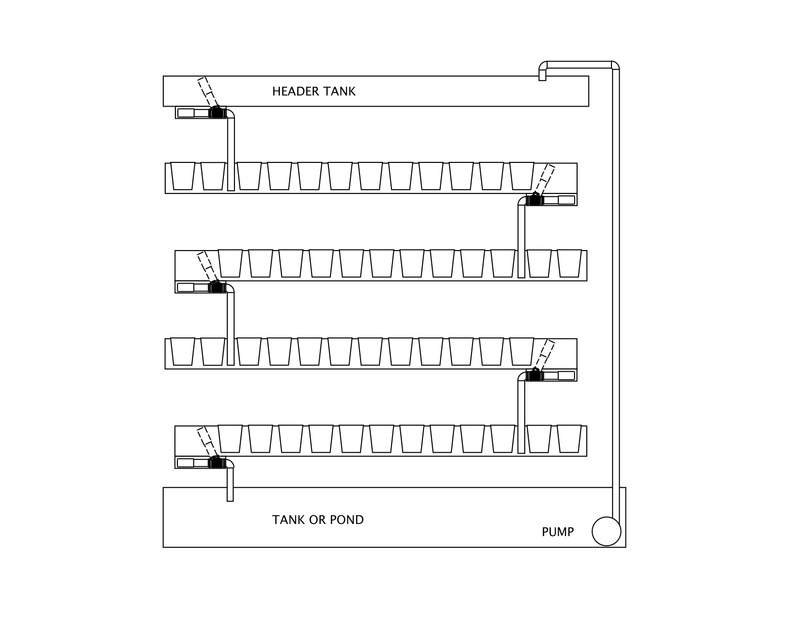 A pump fills a growbed with the liquid from a storage tank (hydroponics) or fish tank (aquaponics). At a set depth, a Flout drains it rapidly. Ebb and flow is unquestionably the best way to provide plant moisture and nutrients. Flooding the growbed guarantees even liquid delivery throughout. Stagnant air is forced out and then replaced with fresh air upon emptying. Unlike other systems where the grow medium is always soaked, root rot is minimized or eliminated. Soon Rissy will have a line of ponic equipment. 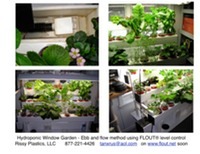 Small Flouts (1" available now), and the new"FloutHouse™" grow bed level control containers will arrive soon. A screened unit will find use within the grow bed and an external unit with pipe inlets works along side growbeds , troughs, or pails. A stand-alone hydroponic pail garden is also on the way. As products evolve and more experience is gained, it will be presented here.